When talking about radiation in Ukraine, I recall the accident at the Chernobyl Atomic Electric Power Station in 1986. Nobody is aware of what is happening in Dnepropetrovsk region, where deposits of uranium and uranium bearing ores are concentrated, mining and processing thereof is carried out, 12 tailing pounds of radioactive waste are located, metallurgical, coke-chemical, chemical enterprises and thermal power stations are concentrated. Some time ago, the Ukrainian media outlets broke the news of high radiation sources identified in the Sophia area of Dnepropetrovsk region. Even the IAEA expressed its concern about this fact. In order to take in the existing situation and ensure the reliability of data voiced by Kharkov environmentalists, a special commission headed by the chief of the regional Emergency Situations Ministry, Lieutenant General V.V. Butkovskiy was created. 8 December 2010, the commission arrived on the territory of the former Uranium geochemical production plant (Devladovskoye deposit). V.A. Zhukov, a deputy chief of the main administration for emergency response under the regional state administration, a deputy chief engineer of the Eastern mining and processing complex for the environment issues and radiation safety, A.L. Pushkash, an engineer and radio physician of radiation safety service of Dnepropetrovsk specialized integrated plant “Radon”, representatives of Health Inspection Services and district state administration joined this commission. 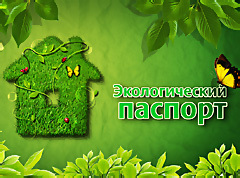 Representatives of the Environmental Group “Pechenegs” (Kharkov city) were also present. The “authoritative” commission concluded that radiation background was within natural levels. Let us take leave to doubt the credibility of such statement and analyze what was explored and measured by “honourable and highly qualified”, according to Lieutenant General Butkovskiy, experts. As we know from the school lessons of nuclear physics, natural uranium is weakly radioactive. The background radiation is due to its decay products, —radionuclides: uranium-238 and uranium-234, thorium-234 and thorium-230, radium-226, radon-222, lead-210 and other isotopes with short half-life. The radiation spectrum is as follows: up to 90% —alpha particles, up to 9% - β-rays and about 1-2% γ-rays. It is hard to suggest that among the attendants who are responsible for the radiation safety in the region and those who protect our lives, there is no one who knows chalk from cheese. Even more surprising thing is their insistence in metering g-radiation only, which, by the way, sometimes exceeded allowable standard by 1.5-2 times. Metering device of Aleksandr Pushkash, an engineer of specialized integrated plant “Radon” reads off 52 micro-roentgen per hour, and in some places –64 micro-roentgen per hour. Such a background cannot be called natural alright. It’s getting uneasy, if we think logically and use mathematical analysis, as well as calculate a ratio of γ-radiation to the radiation of α-and β-particles: a territory is radioactively contaminated, special protection measures and detailed studies to determine all the local and general radioactive contamination zones are required. As to a-rays, the members of the commission have not metered it, neither had proper devices. In olden times, these areas were attached by the Eastern mining and processing complex (it is a complex, which owned a plant), to the local authorities for the public land use and building a repair and mechanical base. Today, locals graze cattle on these lands, floor panels of production facility are taken out for private building, communication lines are dug out, scrap metal is being excavated. The territory is neither labelled, nor fenced. The representative of mining and processing enterprise has officially declared that the Eastern mining and processing complex did it best to ensure normal living conditions for residents and radiation in this area does not exceed allowable standards, even metal quarrying is safe. Actually, Mr. Zhukov was much more concerned about the interest of the IAEA in this situation, the country’s image and necessity to write formal documents in Kiev. Maybe, there are some problems with recultivation of lands, deactivation of the remaining buildings and constructions, the annual survey of radiation background? To tell the truth, when metering there has always been inconsistencies. Now they confused units of measurement – an engineer- radio physician could not decide on the conversion from microsievert to micro-roentgen, and finally set them equal. Then, alas, non-certified in Ukraine meter of Kharkov environmentalists suddenly reads off strange numbers, tens to hundreds of times greater than the readings of other meters. They have also conducted control source testing. For some reason, they did not consider the recorded beta-particle emission, which coincides with the readings of “overseas” meter and amounts to 300-400 particles/min/cm2. Didn’t they understand what it is? Did they knowingly remain it silent? After all, even for sites designed to work with scrap metal there is an allowable standard not more than 30 particles/min/cm2. When studying ground contamination in the city of Dnepropetrovsk, β-particles are metered at most 10 particles/min/cm2. It turns out that the level of pollution in the study area is 30-40 times higher than that in Dnepropetrovsk. Later, the metering of flux density of the radioactive gas Radon in one of the areas showed 1596 mBq/m2/sec! While there are no standards for this ground indicator, in practice, when the meter reads more than 80 mBq/m2/sec, some radon protection measures are incorporated in the design. What we have here is almost 20 times excess! Even though an engineer of “Radon” officially states that at one point a meter reads almost 50 micro-roentgen per hour, officials assert that radiation is within the normal level, in the 16 to 24 micro-roentgen per hour range. Can it be true, that esprit de corps and favourable impression on the international community are more important than health and safety of their own fellow citizens? Is it possible to believe those who by the nature of their activities destined to protect us and prevent possible dangers? Finally, you start to understand that no one in Ukraine addresses the issues of national, and, in this case, radiation safety. The main reason is incompetence of experts and officials or deliberate suppression and misrepresentation of information— it’s up to you to decide. One thing is certain: this situation is unacceptable for the state which lived through the Chernobyl Disaster, which has nuclear engineering, nuclear power plants and mines uranium ore.
Devladovskoe deposit of uranium ore is located in the Sophia area of Dnepropetrovsk region. It was discovered and developed in 1955-1957. The mine was developed in 1962-1983 by using underground acid leaching method. Total area is 2350 thousand m2. In the course of commercial production about 50 million m3 of product solution with a sulfuric acid concentration ranging from a few grams per liter to 50 grams per liter with the addition of nitric acid and nitric ammonium solutions were used and more than two thousand boreholes were drilled. According to the specialists’ research, upon completion of exploitation of this deposits, there are more than 6 million m3 (7.8 million tons) of spent acid-radioactive wastes left in the subsurface horizons at a depth of 70 meters. The main pollution agents of the exhausted solution are radionuclides of natural origin: uranium-238, radium-226, thorium-230, polonium-210, lead-210, as well as sulphate and nitrate ions. In terms of biological effects of human exposure, the alpha radiation poses a risk only when radionuclides enter the human body (by inhalation, eating or drinking, etc.). However, the penetration of alpha-active radionuclides into the body is very dangerous to health when body tissues are directly exposed to the radiation. Significant doses of external beta radiation may cause radiation burns of the skin and radiation sickness. Even more dangerous is an internal exposure to beta-active radionuclides having entered the body. Gamma-radiation can penetrate large thicknesses. It is able to cause radiation damage to the body, until its death, and various types of cancer.